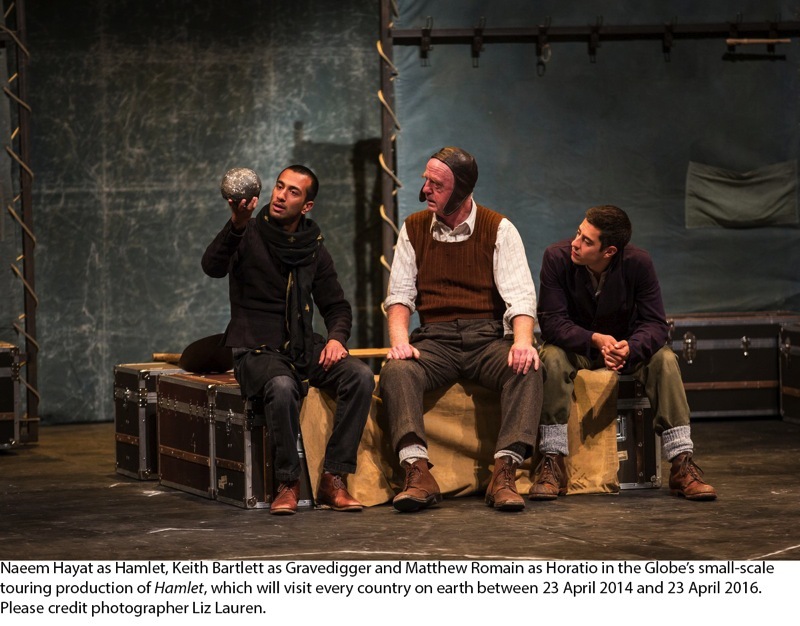 On Sunday 25 October, Shakespeare’s Globe performed their worldwide touring production of Hamlet at the Zaatari Refugee Camp in Jordan. The show took place at the International Research & Development site in District 2 of the camp, with an audience of around 200 refugees. Located close to the Jordan-Syria border, Zaatari was opened in 2012 by the Jordanian government and international agencies as part of a massive emergency response to the Syrian civil war. It is now home to over 80,000 people, making it the fourth largest ‘city’ in Jordan. The performance was the result of a collaboration between Shakespeare’s Globe, the United Nations Educational, Scientific and Cultural Organization (UNESCO), the United Nations High Commissioner on Refugees (UNHCR) and International Relief and Development (IRD). The Globe to Globe Hamlet aims to play to every country in the world by 23 April 2016, the 400th anniversary of Shakespeare’s death. The tour was granted UNESCO patronage for its engagement with local communities and its promotion of cultural education.